The catalyst can be used to transform CO2 and CH4 into a synthesis gas that can be used to produce fuels and a range of valuable chemicals. Researchers have developed a new and cost-effective catalyst to recycle two of the main causes behind climate change — carbon dioxide (CO2) and methane (CH4). "The goal we're all chasing as climate scientists is a way of reversing the impacts of harmful gases on our atmosphere — this technology, which could see those harmful gases not only removed but converted into renewable fuels for use in poorer countries is the Holy Grail of climate science." said Tomas R. Reina, Lecturer at the University of Surrey in the UK. "This is an extremely exciting project and we believe we have achieved something here that can make a real impact on CO2 emissions," Reina added. In a study, published in the journal Applied Catalysis B: Environmental, scientists have described how they created an advanced nickel-based catalyst strengthened with tin and ceria, and used it to transform CO2 and CH4 into a synthesis gas that can be used to produce fuels and a range of valuable chemicals. While carbon capture technology is common, it can be expensive and, in most cases, requires extreme and precise conditions for the process to be successful, the researchers said. It is hoped that the new catalyst will help make the technology more widely available across industry and both easier and cheaper for it to be extracted from the atmosphere, they added. 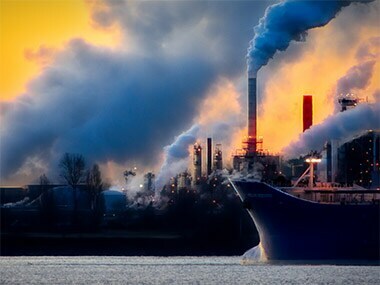 "Utilising CO2 in this way is a viable alternative to traditional carbon capture methods, which could make a sizable impact to the health of our planet," Harvey Arellano-Garcia, Professor at the University of Surrey noted.